Hand crafted and knotted in India with meticulous care, the lustrous recycled Sari silk of the M-4D rug creates an exceptionally soft pile underfoot that has average thickness. 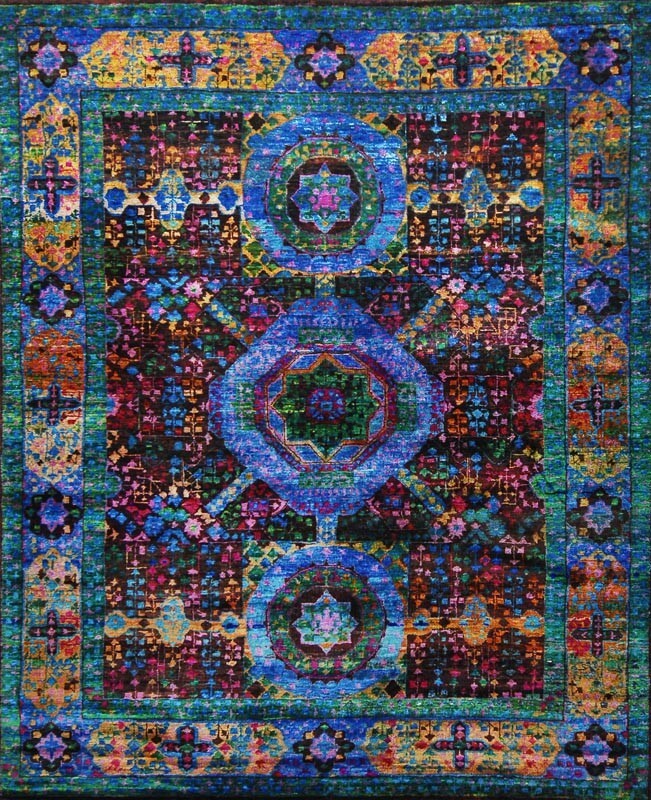 With beautiful and colorful Sari silk and the gorgeous use of multiple gem tones and vivid shades, this southwestern tribal rug's geometric motif and vibrant color palette is the perfect accent to contemporary interiors. The hand knotted character and sheen of the silk ensure its durability, allowing its beauty to stand the test of time.